Hey, nice Rack! Front rack that is… Get that weight off your back and onto your rack. 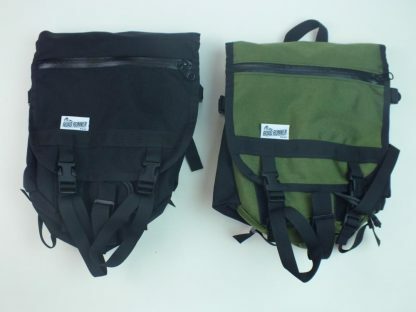 The Front Runner is a unique design to an old style of front rack bags. Whether you re looking for a new way to carry the necessities to work, or an option for a camping weekend; then this is your bag. 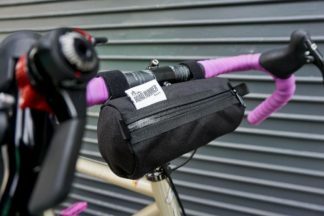 With the bags 10″ width, you have the ability to mount on any rack and any bike. 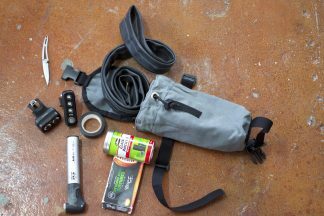 Use your commuter, your touring rig, or even your mountain bike with a front rack. What ever bike it is; let this bag be your reason for going out and getting some miles in! 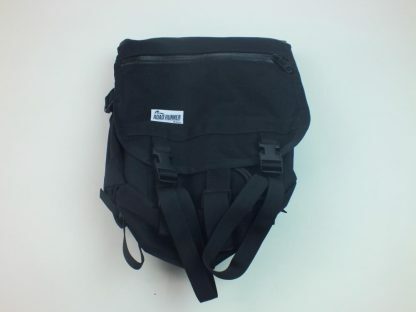 The height of the bag is adjustable because of the pull cord closure as well as roll top feature under the lid. 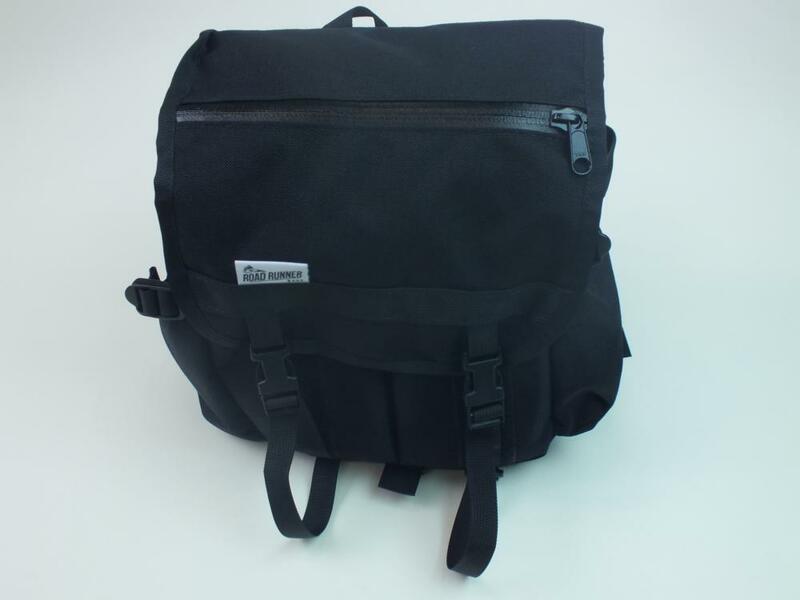 The bag is lined with black rip stop nylon and when closed (by the lid) it is fully weatherproof. 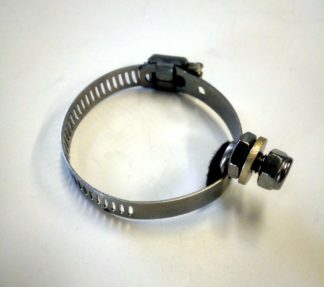 There are 4 bits of mounting hardware on the base and 2 additional points on the back side for the handle bar. 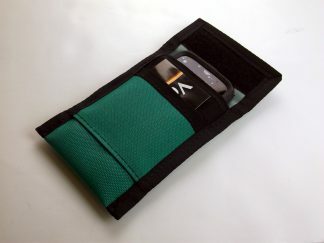 There are 7 pockets total: The lid pocket, dual side pockets (perfect for small items or water bottles), dual pockets under the lid, and the main pocket of the bag. 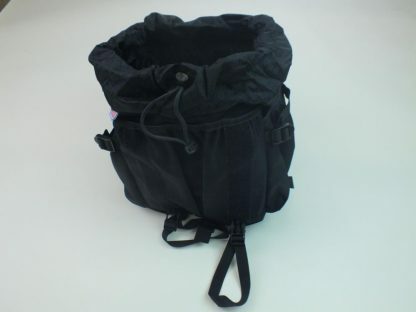 A water resistant pocket can be found on the top portion of the lid that is fully accessible while riding.